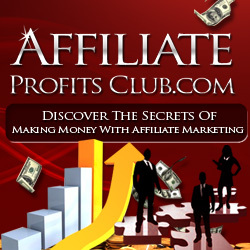 You are here: Home / Make Money Online / Are Affiliate Marketing Banners a Good Idea? As an affiliate – whether it’s for info products you find on ClickBank or tangible items on Amazon – you’re going to be given the opportunity to utilize banner and button ads on your domain to drive traffic to an offer. There are several benefits and drawbacks to using graphic ads like this, so you’ll have to make the decision yourself. And every niche audience responds differently. So the best option is to test the use of them and see how they perform. They’re easy to use. As an affiliate, you want all of the tools you can possibly have at your disposal, and most product owners give you a simply cut and paste HTML code that you can use for their banner ads. All you have to do is plug in your affiliate ID and it’s ready! They help fill empty space on your blog. There are many spaces that are perfect for banner ads – underneath the header, on your sidebar, and sometimes even in the footer, depending on the theme that you use. But be aware that some visitors will suffer from banner blindness, so they don’t even see your banner ads when they visit. You might try a popup tool instead and see how that works. There are some fairly non-intrusive ones to choose from that do just enough to grab the attention of your visitor without being annoying. They serve those who are visual well. Some visitors are more drawn to graphics than they are text. There are all kinds of learners in any niche. So banner ads might work well for converting some of your visitors. The only way to know is to test. They don’t convert as well as text links. Overall, it seems that text hyperlinks that are naturally integrated into the content on your site perform better than banner ads. But again, each affiliate needs to test the difference with their own audience and see what the results are. They may not match your site’s aesthetics. This is one problem with many banner ads. The colors don’t match your site. You might have a pastel colored site and the banner ad is filled wit primary colors. You don’t want the banner to cause a harsh visual reaction with your visitors. If animated, they may annoy your visitors. Animated ads can be okay if used sparingly, and with the right message and audience. But some affiliates have blinking ads all around the content, and it serves more as a distraction than as a beneficial promotional tool. Profit from Your Own Information Empire!